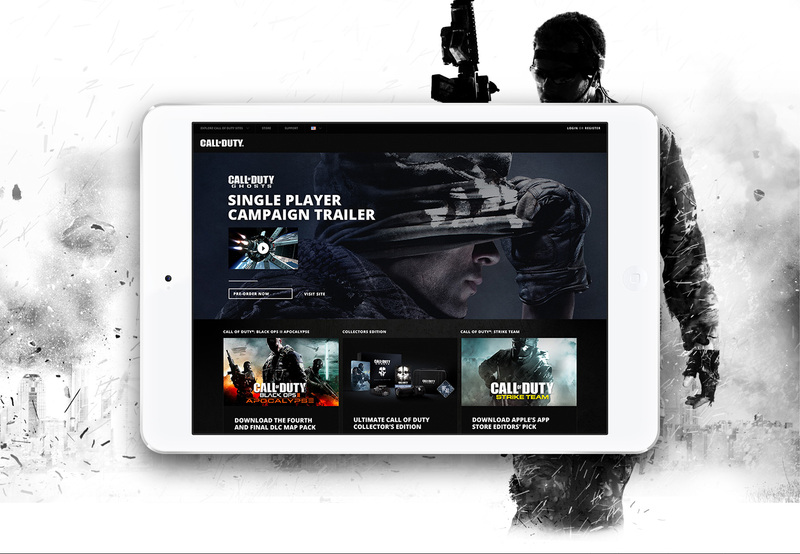 Passion and dedication are what propelled a digital fragmentation project for Call of Duty’s social community into a long-term agency partnership. 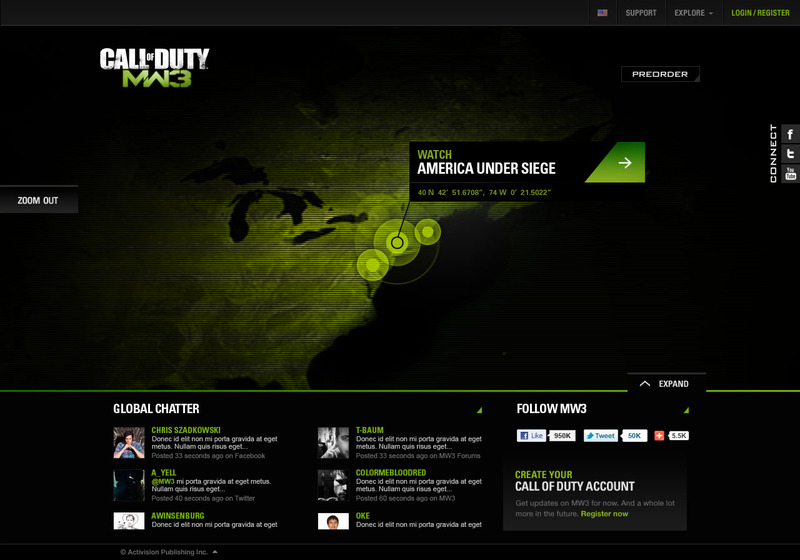 With over 140 teams members, the work on almost 60 unique projects ranging from the launch to Call of Duty: Modern Warfare 3, Skylanders, Call of Duty XP, building the digital framework for Call of Duty’s Single Sign-On(SSO) system, Call of Duty Elite and the Call of Duty App. 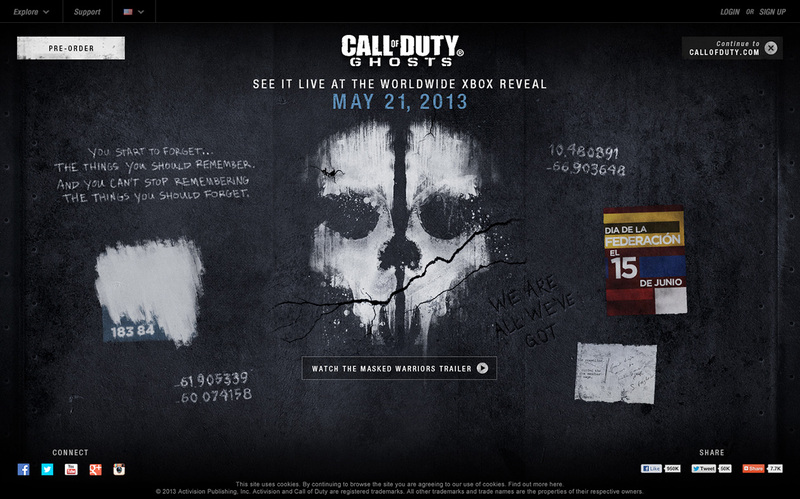 To continue to create record-breaking campaigns for Black Ops II and Call of Duty Ghosts. 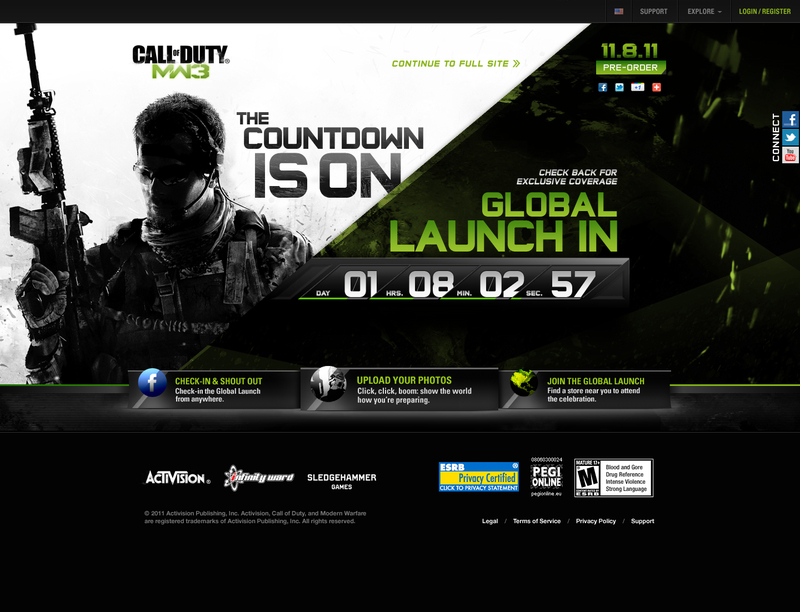 And be able to re-launch Activision’s digital brand and work with Call of Duty’s partner charitable organization: C.O.D.E. It was a privilege and an honor to have been able to lead and work across the entire the account. 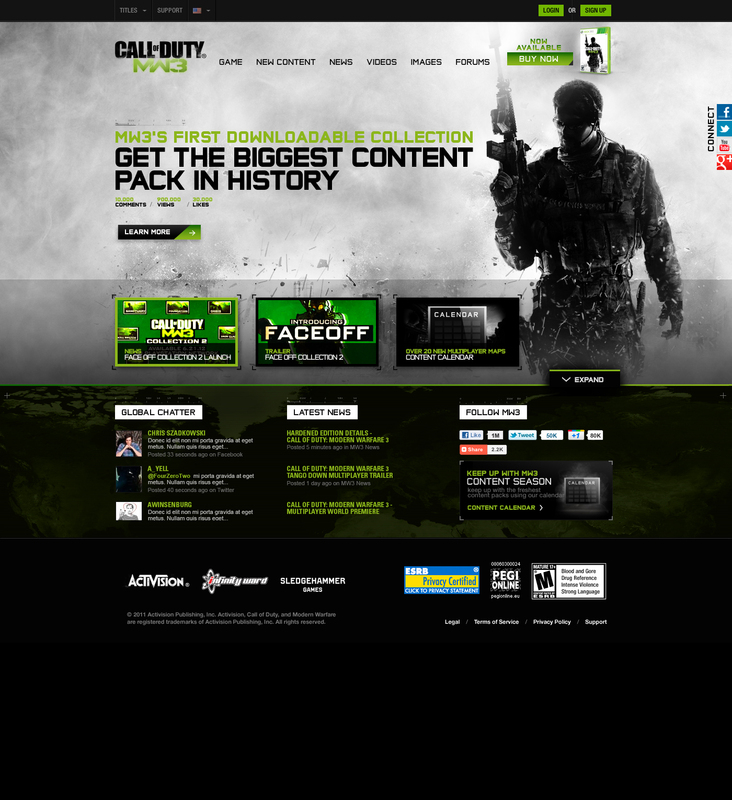 For Call of Duty: MW3’s second downloadable content map pack (DLC 2) Infinity Ward introduced a new map style and Map mode. Face Off. An intense small map 2v2, 3v3 multiplayer. 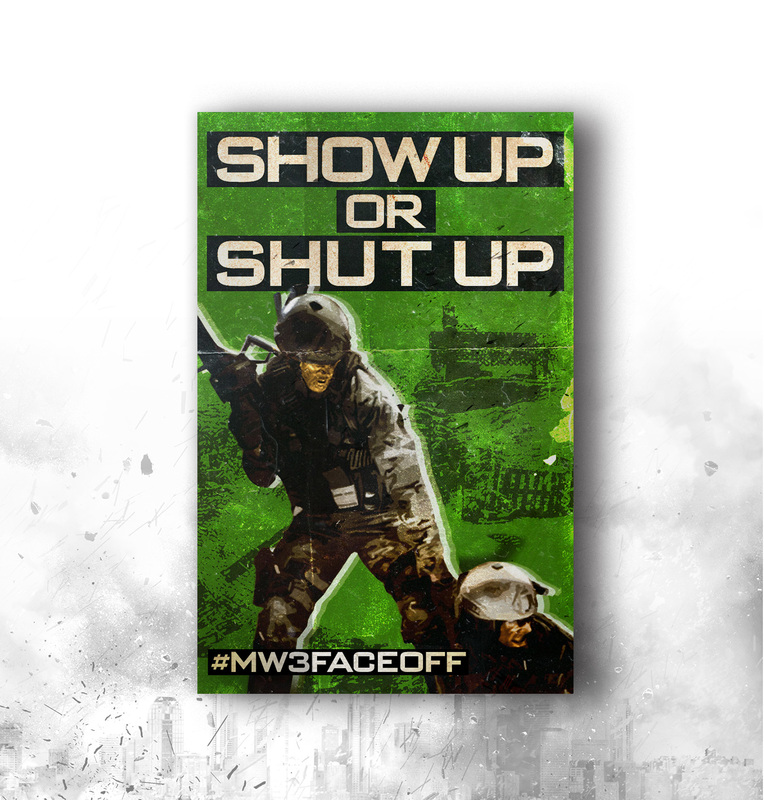 To stoke face-offs across all digital communications our digital campaign for DLC 2 needed to convey the fun and excitement of Face Off. It’s about friendly rivalries, competition, and bragging rights. 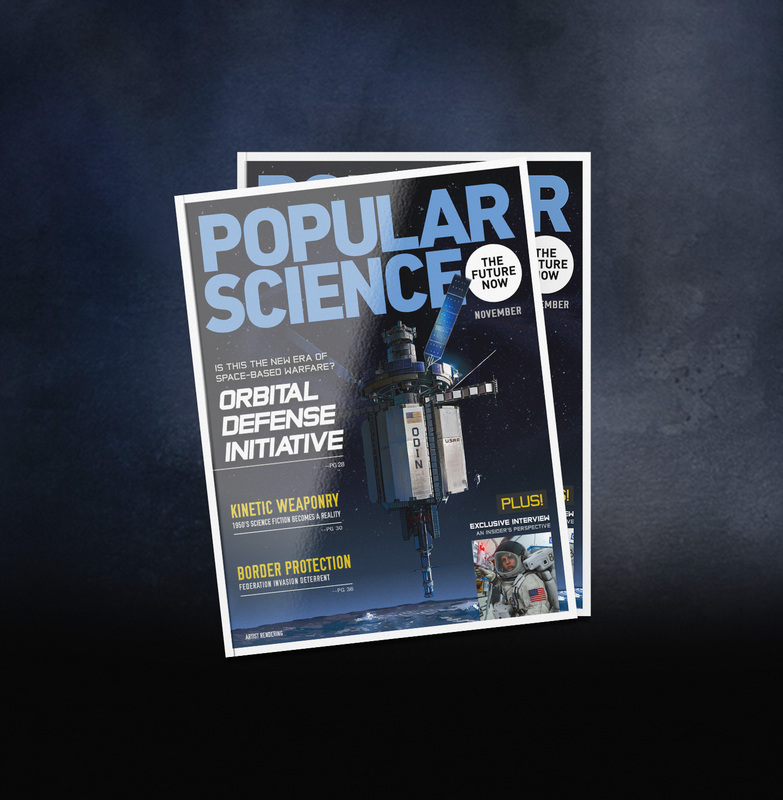 Let’s recruit friends and face off. 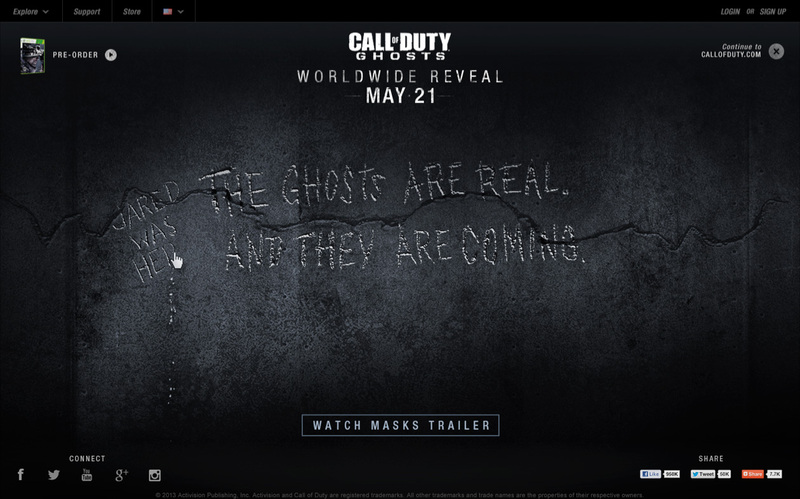 For the reveal of Call of Duty’s new blockbuster game title, Call of Duty: Ghosts the team was challenged to unite the community to begin generating excitement around the Worldwide Reveal and let the world know that The Ghosts Are Real. 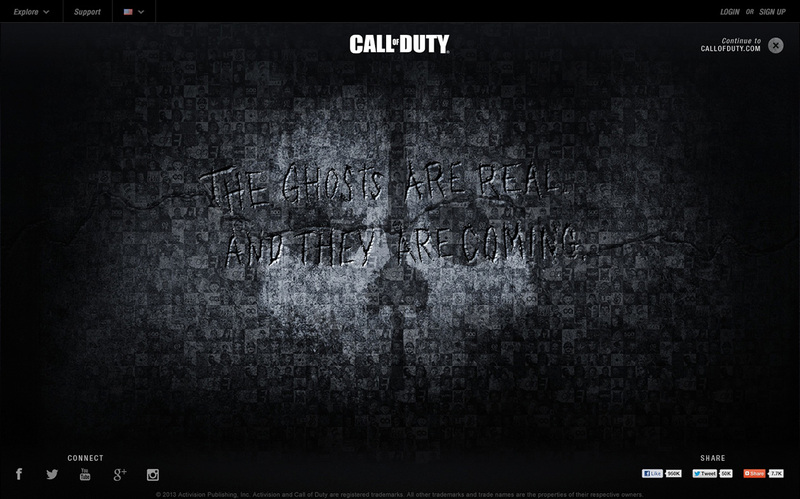 And They Are Coming. 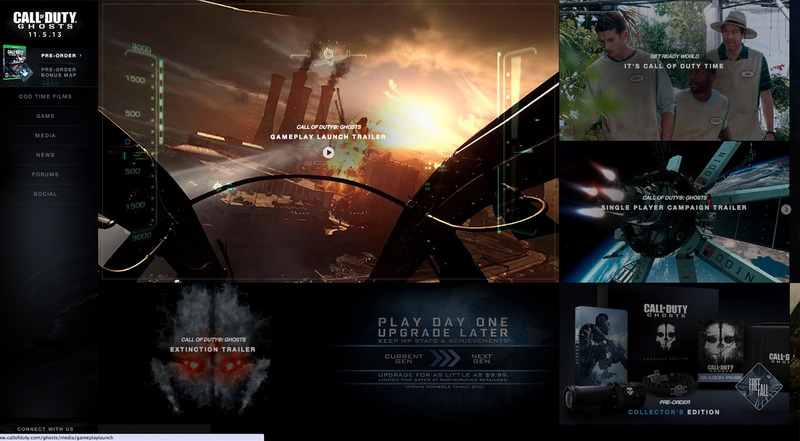 During my time on the account, I ended up playing over 1200 hours of Call of Duty. 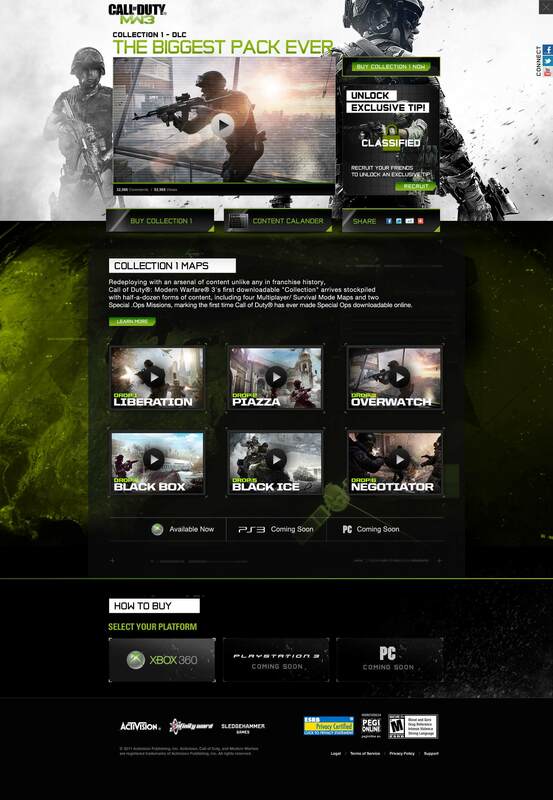 Please check out a few other feature Call of Duty projects. 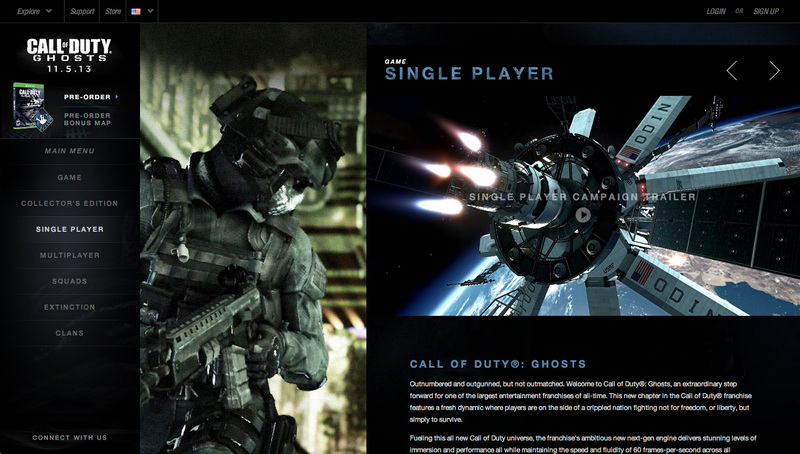 C.O.D.E., Activision brand relaunch, Call of Duty: Black Ops II and my favorite The Replacer.